Our partnership with GLSEN is from May 1st through May 12th. 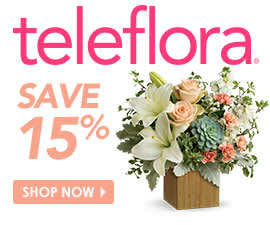 During that time, we’re offering 20% off Teleflora’s Be Happy Bouquet with Roses. It’s the perfect gift to send to amazing teachers, thanking them for everything they do. Additionally, 10% of ALL SALES from Teleflora’s Be Happy Bouquet with Roses will be donated to GLSEN to help get their mission out there and make our schools a safer environment for all students. This partnership also falls under Teacher Appreciation Week, which is May 8th through May12th, so there’s no reason not to celebrate! You can bet that any school professional will love getting a small token of recognition for his/her work and hear the positive impact he/she has made on you and your child’s life. You might not be exactly sure what GLSEN is, so we’ll give you the background you need. They are making great changes in the education system. GLSEN’s mission is to ensure that every member of every school community is valued and respected regardless of sexual orientation, gender identity, or gender expression. They believe that such an atmosphere engenders a positive sense of self, which is the basis of educational achievement and personal growth. Since homophobia and heterosexism undermine a healthy school climate, they work to educate teachers, students, and the public at large about the damaging effects these forces have on youth and adults alike. GLSEN seeks to develop school climates where difference is valued for the positive contribution it makes in creating a more vibrant and diverse community. Our GLSEN partnership is very important to us and we are so happy to share it with you for the second year in a row! We hope you get involved and continue sharing GLSEN’s mission so we can continue spreading its reach. Stunning Flowers Bouquets you have!